1. OSC Centre Administrators - Any women having a Law degree/ Masters in Social Work with at least 5 years experience of working of violence against women issues in an administrative setup with a Government or Non-Government project/programme and preferably with at least 1 years experience of counseling either within or outside the same setup. She should be a resident of the local community so that local human resource and expertise is utilized for effective functioning of the centre. She will be evidential staff attached to Osc. 2. Case Worker I - Any women having a Law degree / Master in Social Work with at least 3 years experience of working on violence against women issues in a Government or Non- Government project/programme. She should be a resident of the local community so that local human resource and expertise is utilized for effective functioning of the centre. Case workers will work in shifts to provide 24 hour service at Osc. 5. Multi-Purpose Helper - Any person who is literate with at least 3 years of experience of working as a helper, peon etc. District Social Welfare Office, Kanchipuram. 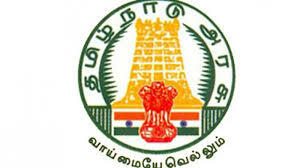 District Social Welfare Officer, . 0/0 District Social Welfare Office, No.43, Gandhi Nagar 2nd Street, Near Indian Overseas Bank, Kanchipuram - 631 501.